How good is raw chocolate? I have been a massive fan ever since I made my Dairy Free Raspberry Ripe, which I adapted from I Quit Sugar. 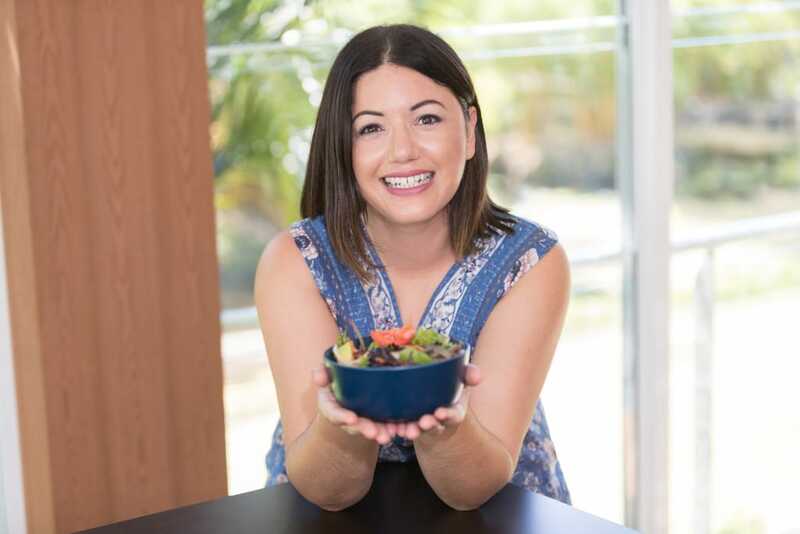 Some of my other favourites raw chocolate recipes that I have created, include my Coconut Rough, Caramel + Macadamia Chocolate Cups and Ferrero Rocher Cups. 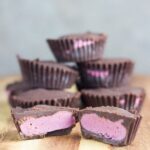 Well, today, I am sharing my Raspberry Chocolate Cups, which I created for my eCookbook ‘BecomingSweet – Say Yes to Dessert Again’. These Raspberry Chocolate Cups are AMAZING!! They are dairy and refined sugar free and are really easy to make. Super simple! I recommend that you store them in the freezer in a airtight container and get out a few minutes before eating. To make the chocolate coating: melt the coconut oil in saucepan on low heat. Once melted, remove from heat, add the maple syrup (or honey), whisking briskly until well combined. Then add the cacao powder, stirring until well mixed through. To make the raspberry filling, blend all raspberry filling ingredients (except for the coconut oil) in a blender until smooth. Add coconut oil and blend until well combined. Place in the fridge for one hour to set. Line a mini muffin pan with paper liners (patty pans). To make the raspberry chocolate cups, spoon 1 teaspoon chocolate mixture into each liner and swirl around to coat the sides. Place in freezer for 10 minutes to set. Once the chocolate has set, spoon the raspberry mixture into each liner and smooth with the back of a spoon. Then cover with the remaining chocolate mixture and place in the freezer for 1 hour to set. I recommend storing these in the freezer. Allow to thaw slightly before eating. The cook time does not include the time it takes for the the raspberry chocolate cups to set.